Springtime is here, and the weather has been beautiful in Southern California. 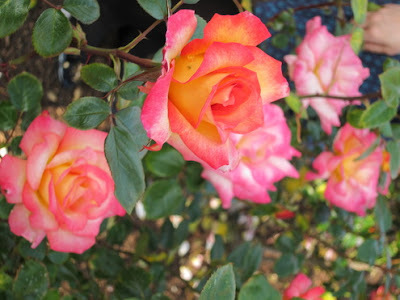 I had the pleasure of visiting the Rose Gardens in front of the LA County Museum of Natural History, and was inspired by all the lovely roses in all the different colors. 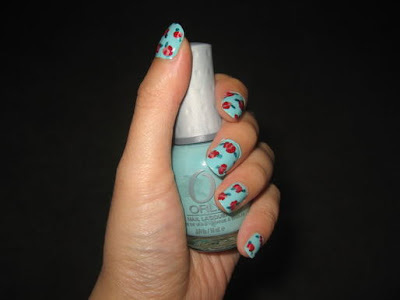 Now I know nail art is quite difficult, especially for something as intricate as a rose, so I looked for a tutorial on YouTube that might make it a little easier. I found a great one from CutePolish (check her out, she does amazing nail art tutorials!! ), and I tried to replicate the look. Of course, I used my own polishes that I already owned for this nail art. For the flowers, I used Suzi Sells Sushi By the Seashore and Big Apple Red, both from OPI, and I used Wet and Wild's Caribbean Frost for the leaves. As for the base color, I used Orly's Gumdrop, a personal favorite of mine. I absolutely love this kind of green! I own three colors that are similar to this green -- China Glaze Kinetic Candy, Orly's Gumdrop, and China Glaze's Aquadelic. I would say that these colors are somewhere along the line of aqua verging on Tiffany's Blue. I don't own the very popular "For Audrey" by China Glaze, but I have tried it and it actually isn't very flattering on me. If you're skin tone is similar to mine, you may want to opt for one of these instead! Call me a nut, but I love the vintage roses on the green background. 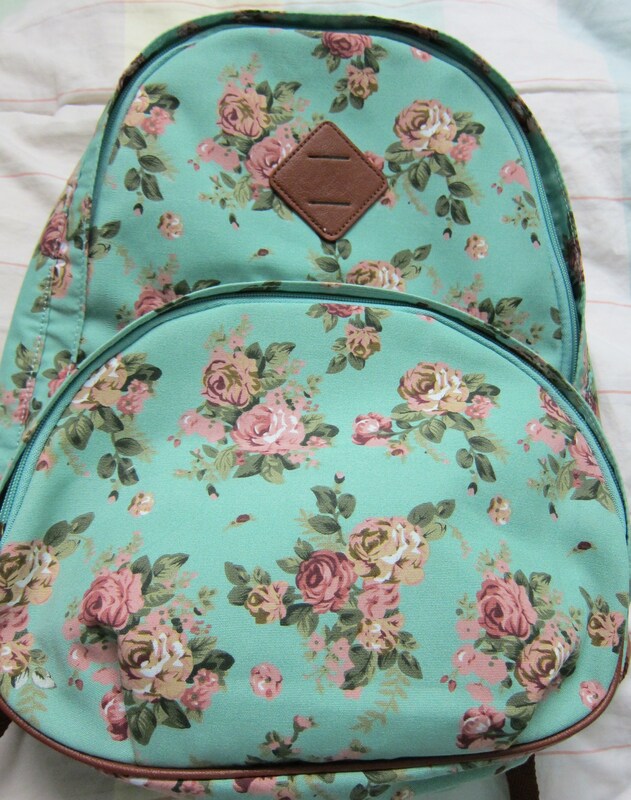 I even have a backpack in this print! A great look for spring, I really hope you try it out! !